Embrace our Florida lifestyle on the covered patio overlooking your private yard with a pool, tropical landscaping and a serene lake view. This spectacular home offers a 1,929 SqFt bright and open floorplan with 3 bedrooms, 2 baths, a spacious living room and a dining area. The highly functional kitchen comes equipped with high-hat lighting, a snack bar and classic white cabinetry. The master retreat features a walk-in closet, soaking tub and a walk-in shower. 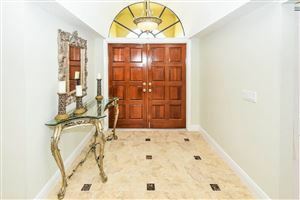 A double door entrance, tile laid on the diagonal, new carpet and an abundance of natural light complete this stunning home. Located close to shopping, dining, entertainment, major highways and airports. A short drive to the Winter Equestrian Festival and Global Dressage Festival. Amazing location in the heart of equestrian country! Imagine being in a desirable school zone with a screened pool on a canal overlooking beautiful horses and stables. This property has a 1 year old AC, brand new pavered patio and million dollar views. Relax in the screened pool area or under the 40 X 12 overhang in your ultra private backyard. 3 oversized bedrooms and 2 large bathrooms are waiting for your finishing touches. Don't wait to make this your dream home! Accordion shutters, central vac, permacrete stucco, high hat lighting and laminate floors are just a few features that this home offers. Wonderful opportunity to build your dream farm on this 3 and a half acre lot in Wellington. Centrally located to all Wellington has to offer- all equestrian venues, hospitals, schools, restaurants and also offers easy access to airports and Palm Beach. Now is the time to buy!! Location, location, location!!! This beautiful home has a million dollar view of Lake Wellington. 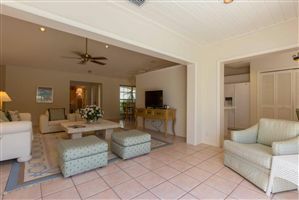 Home features 3 bedrooms 2 baths a tropical pool with screened patio high ceilings, wood and tile floors. Some work required so come make it your own and see why this home will be perfect for you. Wellington equestrian capital of the world is home to the best schools, restaurants, golf courses, and minutes to the beach and 3 major airports. This is the one. 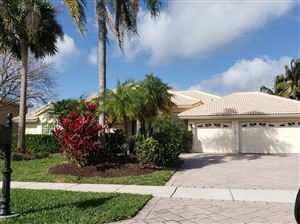 This exquisite home w/ a gorgeous lake view is in the highly sought after Village of Wellington, with 'A' rated schools. Double entry doors, a soaring ceiling, & huge windows fill the home with sunlight. An impressive double landing staircase leads to your private oasis; an immense master suite, w/ lounge area, walk-in closet, & luxurious master bath. Fenced yard & 2 car garage w epoxy flooring seals the deal. Bonus, HOA includes Cable W/HBO, internet, alarm monitoring, virtual guard gate, community tennis courts, clubhouse w/ state-of-the-art exercise equipment, community room & large pool. Close to restaurants, international equestrian events, Wellington Mall, Golf, Wellington Regional Hospital and, of course, only minutes to the beach. PRICED TO SELL QUICKLY. PERFECT FAMILY HOME! 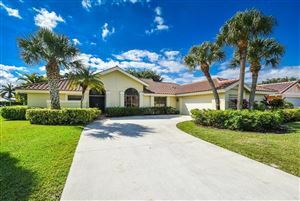 CUSTOM 4/3 SINGLE STORY WATERFRONT HOME. RELAX IN THE HEATED BY SOLAR SALT WATER POOL SCREENED IN POOL. NOTICE THE LUSH LANDSCAPE AND CUSTOM PAVER TILES IN THE BACK YARD. 4TH BEDROOM IS BIG ENOUGH TO BE GAME RM OR IN-LAW SUITE, THIS HOME SITS ON .25 ACRES AND IS LOCATED ON A CANAL THAT FEEDS INTO LAKE WELLINGTON. THIS UNIQUE FLOOR PLAN HAS AN OVER SIZED GREAT ROOM WITH WHITE WASHED CEDAR, VAULTED CEILING WITH TUBULAR SKYLIGHTS SITUATED THROUGHOUT FOR NATURAL LIGHT. 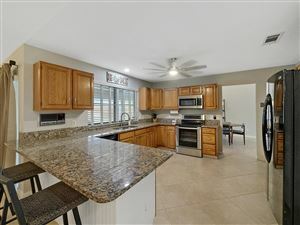 KITCHEN WAS REMODELED AND FEATURES WHITE CABINETRY AND NEWER APPLIANCES. 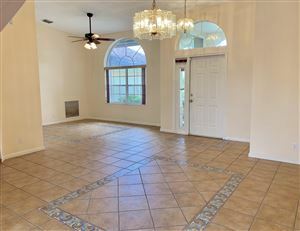 MASTER SUITE HAS A LARGE WALK IN CLOSET AND REMODELED MASTER BATH AND 2ND BATH. HOME FEATURES LIGHT TAN PERGO FLOORS. NEW A/C AND GENERATOR HOOK UP. THIS PRIVATE GATED COMMUNITY IS CLOSE TO EQUESTRIAN EVENTS. 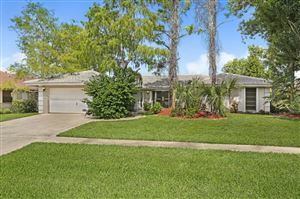 Lovely, well-maintained, CBS home in one of Wellington's most desirable, secluded neighborhoods. Situated on a corner lot in a cul-de-sac. Close to all equestrian venues. Walking distance to WEF. Private, heated pool with newer screen enclosure, outdoor bbq grill, and half bathroom. Sprinkler system via well. A-rated schools. NO HOA. Roof replaced in 2005. Copper pipes. Kitchen remodeled in 2012 with granite counter tops. Bathrooms are very clean and original to the house. Vaulted ceilings in most rooms. Split floor plan. Tile throughout. Laminate wood floors in bedrooms. Spacious outdoor covered patio is perfect for parties. Accordion hurricane shutters. Wonderful, well kept neighborhood. All measurements are approximate. Move- in ready! This newly renovated 3/2 is being offered fully furnished. Perfect location close to all equestrian venues, golf clubs AND located in the highly rated and coveted Binks Forest School District. Open floor plan concept, stainless appliances, California closet and exceptional furnished. 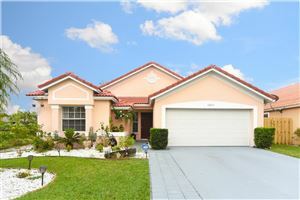 Beautiful 2 story pool home in a peaceful neighborhood with private access to Lake Wellington. This 4 bedroom/3 batroom house boasts updated batrooms, vaulted ceilings, indoor/outdoor living space, new HVAC (2017), new washer and dryer (2018), and fresh interior and exterior paint. Low HOA fees and close proximity to equestrian venues makes this home a must see. Very special, original owner, cul-de-sac home with a new roof, new A/C, new water heater, new irrigation pump, and Sentricon System. This corner lot is over 1/4 acre with a fully fenced backyard offering many opportunities for outdoor entertaining and plenty of room for a pool. The Interior of home features 4 BR, a Den, an Office/Play Room, soaring ceilings and tons of natural light. The Granite Kitchen serves both formal and informal dining rooms. At the end of the day, retire to a massive master bedroom suite with lounging area. 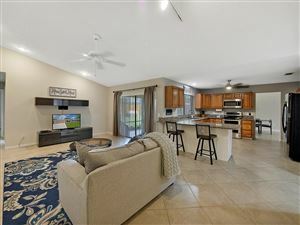 Located close to 'A' Rated Binks Forest Elementary and Wellington Landings Middle Schools, the Wellington National Golf Course, all equestrian venues, great dining and shopping. This home is truly one of the best values in sought after Binks Forest.
! Location, Location, No HOA! 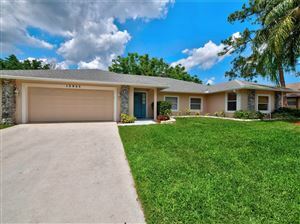 This beautiful home, 4 bedrooms and 2 baths open floor plan is a GEM! located in Greenviews Shores 2, close distances to Wellington Equestrian, The Wellington Green Mall and grade A Wellington schools. 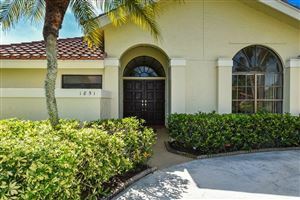 It has been meticulously maintained, recently upgrades kitchen with granite counter tops, new stainless steel appliances and white cabinets. it has large living room, dining and breakfast room surrounded by a cathedral ceiling. This house has tiles flooring and carpets for the bedrooms. 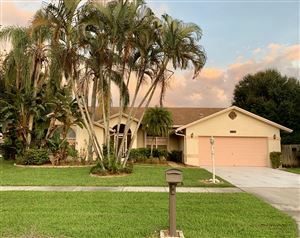 Incredible open & bright split plan 4 bedroom, 2 bath, 2 car garage pool home on fully fenced 1/3 acre tropically landscaped lot w/ gate & pad for RV, Boat, or horse trailer w/ electric hookup. New salt system heated pool, outdoor shower, hot tub hookup, extended paver patio, out door speakers, extra outlets & water fixtures, & large screened lanai. Surround sound speakers, brand new high end kitchen w/ contemporary wood soft close cabinets, granite counters/backsplash, designer hardware, new stainless appliances & undermount sink. New A/C, washer & dryer, storm rated gar. door, accordian shutters, camera security system & more. 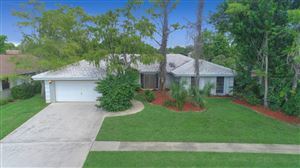 Located in greaat community w/ lake front park & no HOA. Great schools, parks, amphitheater, shopping & dining. 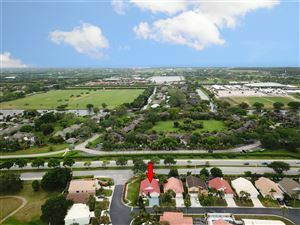 Close to Polo, equestrian show grounds, & PBIA. PRESTIGIOUS WELLINGTON AERO CLUB LOT, COMMUNITY OFFERS PRIVATE 4000FT PAVED RUNWAY AND COMMUNITY CLUB HOUSE. JUST MINUTES FROM EQUESTRIAN VENUES,COUNTRY CLUBS, GOLF AND GREAT SCHOOLS. LOW HOA FEES. DON'T MISS THE OPPORTUNITY TO BUILD YOUR DREAM HOME IN THE BEST COMMUNITY IN TOWN! 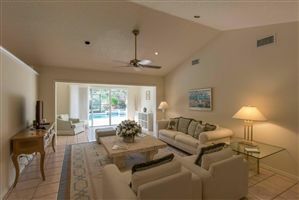 IMMACULATELY MAINTAINED VILLA IN THE PALM BEACH POLO GOLF AND COUNTRY CLUB. BEAUTIFUL PRIVATE POOL IN A LUSH TROPICAL SETTING . THIS IS MAINTENANCE FREE LIVING AT ITS FINEST. 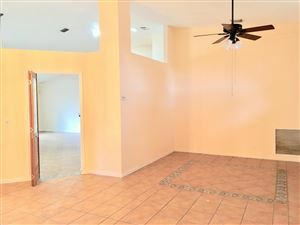 END UNIT OFFERING A SPACIOUS LOT. Completely Remodeled and everything is brand new. 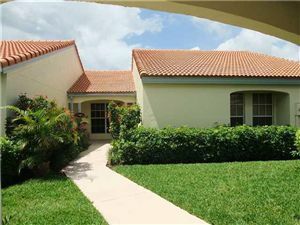 This unit will not disappoint and being sold furnished/turnkey. 3 bedroom/3 bath with great closet space. Master bedroom has 2 closets. Gorgeous kitchen and bathrooms. TV's will be mounted in living room and in all bedrooms. Tiled balcony. Bosch washer/dryer. CBS home on cul de sac completely tile with 4 bedrooms with closet and another room with no closet which can be added for 5th bedroom, exercise room or den. 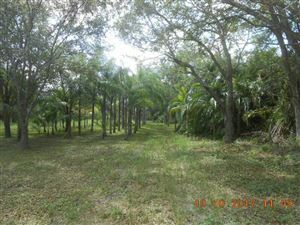 Fabulous canal lot with many tropical fruit trees. Spacious living includes 3 bath with dual sinks in all, open eat-in kitchen with breakfast cafe and family room. Covered screened patio, accordion shutters and panel shutters for hurricane protection. Security cameras are negotiable. Walking distance to Wellington's Equestrian facilities, second to none in the world. Close to schools, shopping(major mall) and places of worship. Due to easement setbacks you can only put a 9' wide pool. 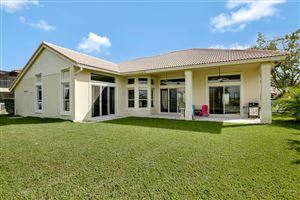 Two story estate on Lake Wellington amazing views and dominant breezes to keep you cool, . The home has 4 bed rooms and 2 and half baths . Master bedroom suite is isolated from the 3 other bedroomsfacing the lake and newer heated led light pool. Bring your boat and enjoy this beautiful 500 acre lake. Brand NEW barrel tile Roof. Brand,New kitchen with quartz counter tops . Low HOA fees and an great location; close to schools, shopping, and all equestrian venues. 5.0069 Acres of premium land. Perfect opportunity to build your dream equestrian estate. 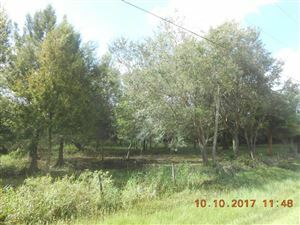 Land is adjacent to wellington environmental preserve. Beautiful home in family and equestrian community. 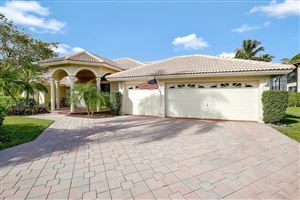 Close to best schools in PB County, Equestrian events, shopping and sports events. 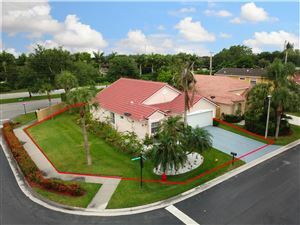 Corner lot fenced in with serene pool and outdoor living area. Spa-like master bath just re-done. NEW roof! Don't miss this opportunity!! Here is your chance to own a taxiway lot in the most Exclusive Aeronautical community in South Florida, and build your dream home in Wellington Aero Club. 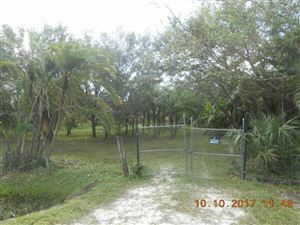 This lot is situated directly on a taxiway that will take you to the 4000 ft paved, lighted runway. Wellington Aero Club supplies, for purchase, on site AV Gas and Jet Fuel for your convenience. The property is also located on the South side of Wellington Aero Club, which gives you easy golf cart access to Equestrian Facilities. Feel free to walk the lot and dream about your new Estate home. Seller, however, takes no liability for anyone walking and exploring the lot. This 5 acre lot is a perfect location for equestrian fanatics or those that are simply looking to build their dream ranch home. Rustic Ranches is an up and coming community for horse show goers with direct access to the multi-purpose bridle path for horses and bikes leading directly to the show grounds. This community is unique in that it also sits alongside The Wellington Environmental Preserve, 365 acres with nature trails and learning centers. This is your chance to own 5 acres on high ground, cleared. All utilities on site: Public Water, Sewer and Electric. Presently a nursery but could also be used for equestrian or a nice home, take your pick. Meticulously maintained renovated for extra interior square footage, beautiful pool and spa. Bring your decorating ideas to be taken to the next level. Brand new roof. 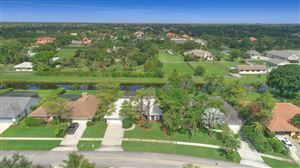 EXCEPTIONALLY MAINTAINED HOME WITH SOME OF THE BEST VIEWS IN THE POLO CLUB.RESORT STYLE COMMUNITY POOL EXCLUSIVE TO MUIRFIELD TOWNHOMES . JUST KEY THE DOOR AND GO THIS IS MAINTENANCE FREE LIVING AT ITS FINEST.